Tottenham striker Vincent Janssen underwent minor surgery for a foot injury yesterday, which the Dutch international has confirmed was successful. The 24-year-old moved to North London back in 2016 but he has only managed to make 39 appearances for the club during his two-year stay. Mauricio Pochettino sent the Dutchman out on loan to Turkish club Fernerbahce last season, where he again struggled to gain regular playing time, making just 16 appearances in total and scoring 4 goals. His goalscoring record at Spurs is even more modest having only managed to find the back of the next 6 times for the club and during the summer it had been suggested that he could leave after he was stripped of the number 9 squad number for the new season. Janssen was nowhere to be seen throughout Tottenham’s pre-season tour of the US either, which caused supporters to wonder as to whether or not he had been axed from Pochettino’s plans completely. However, according to Sky Sports, the Lily Whites forward had been missing in action because of a serious foot injury, which was operated on in minor surgery on Monday. He took to Instagram to update fans on his current situation today, as you can see below. For all the fans, I would like to update you about my current situation. As you have probably noticed, last season at Fenerbahce I have been out for a while due to an injury. I have played the last matches of that season despite the pain I felt in my foot. Together with the great medical team at Spurs, we made the decision to go in surgery. The surgery yesterday was successful!! The next period will be in the light of becoming fit and stronger than ever. I will put all the effort in I’ve got! I can’t wait to be back at the pitch again? 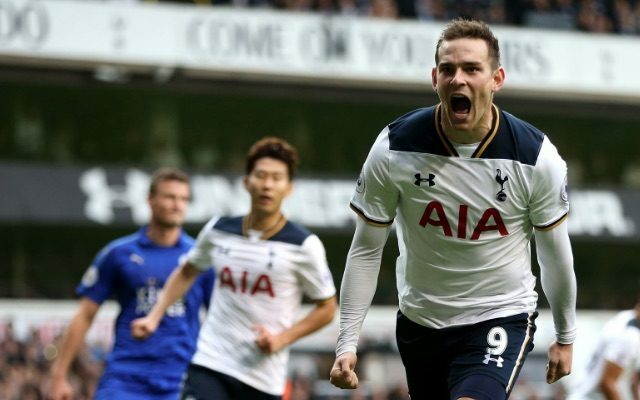 Although Janssen specified no expected return date, the fact that he is still very much a Spurs player will come as great news to fans across North London, given the fact that Harry Kane is the only other conventional centre-forward at the club. Tottenham have got their latest Premier League campaign off to a flyer with back to back wins against Newcastle United and newly promoted Fulham respectively. They face Manchester United at Old Trafford next on Monday which should be a great indicator in terms of how serious the club is about challenging for the league title this year.